Rompa Group’s ambitions and plans for the future do not go unnoticed. This month, the business-to-business magazine Inside Industry reveals all you need to know about our organisation’s history, current developments and future. We are truly honoured to be featured in this manner. The magazine has an on- and offline readership of circa 126,000 people and it is a leading publication when it comes to content about multinational producers. Our commercial director Martijn Jansen sat down with Inside Industry to discuss the ins and outs of plastic and finished products. Of course, the article begins at the beginning: in 1881, when Rompa was a leather tannery. Although leather was still Rompa’s core business in 1936, that was also the year in which we signed our first contract with Philips for the production of leather cases for their electric razors. This contract marked the beginning of nearly a century of close collaboration. In this article, Martijn eloquently expresses just how important our business relations are to us. He also emphasises the importance we place on constant innovation and forward motion. Over the course of nearly 130 years, Rompa has developed from a leather tannery to a plastic / full service specialist. These days, we manufacture finished plastic products, including PCB’s and electronical components and plastic packaging materials for a number of markets. We operate globally and have production sites all over the world, from North America to China. We have not lost any of our ambition over the years. In fact, we will soon realise another major milestone: a new production site in Germany. 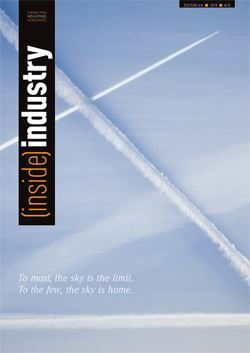 For more on Rompa’s plans for the future, be sure to read the article in Inside Industry. We promise it will be worth your while!